3) If there is no name in the list ADD a new eth0, else EDIT the current name. 6) ADD a new address, netmask and gateway. - ask the network technician if not sure about this. 8) Click APPLY after all setting is done. e) just input the IP shown, in "Your Current location's IP adress is ..."
f) Click "Add To Chart"
Now that your service is installed and running, the next step is to configure your network to allow remote access. To do this, you will need to configure your router's port forwarding settings. Please visit PortForward.com for a list of guides by router and service. (For reference, any service you can access with a web browser uses HTTP on TCP port 80). 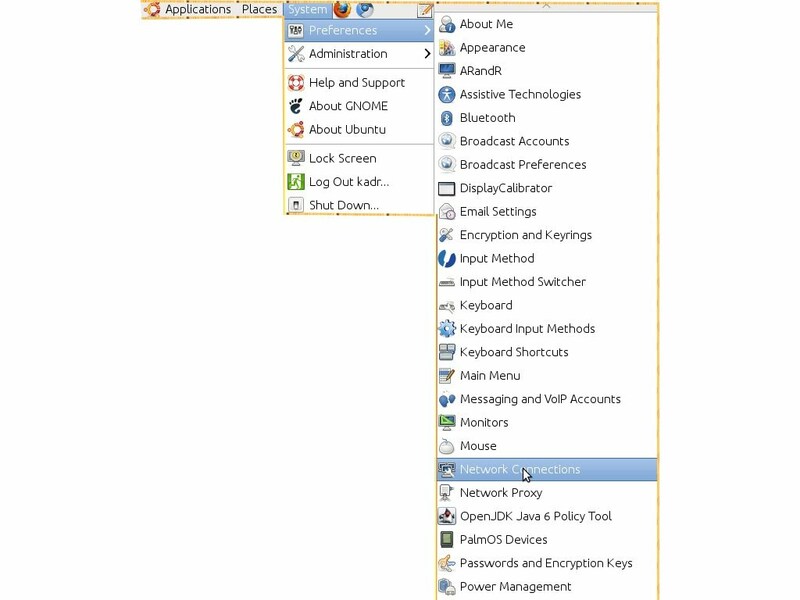 You will also need to allow this port in your firewall software, such as Windows Firewall or Norton Internet Security. When you have configured port forwarding in your router, you will need to test your network externally (from outside). To do this,get your network's external IP address from CheckIP, then have a friend try to visit the IP address or use our Open Port Tool to test your network. If your network is configured properly, you can continue to the next step; if not, please see the Troubleshooting section for some common problems. Now that your services are installed and working, and visitors from outside your network can remotely access your services, you can begin using Dynamic DNS. Create and confirm an account, then create a free Dynamic DNS host. The Dynamic DNS host should be assigned to your network's external IP address. Once your host is created, wait a few minutes for the service to activate, then have your friend (or our Open Port Tool) test your network using the host (e.g. http://myphotosite.dyndns.org). If all goes well, you should see the same results as using the IP address directly, which indicates that the Dynamic DNS host is working properly. This section strictly covers the Dynamic DNS service. If you are having problems setting up a server for the first time, please see our general troubleshooting article Why Can't I Connect to My Server? Remember, if your Dynamic DNS or Custom DNS host resolves properly to the correct IP address for your network, any problems you are experiencing are not related to your DNS service. To check your host's DNS, use our DNSCog dig and report utility; If your service resolves, the issue is not a DNS error. My host does not resolve. Typo: The simplest and most common problem is a typo. Double- and triple-check your spelling to make sure you are not transposing a letter or putting the wrong TLD (e.g. .net instead of .org). Service is still in cart: Dynamic DNS hosts are placed in your shopping cart when you click the Create Host button. You must complete checkout to activate the hosts. Service has not been created: When a new account is created, it does not contain any hosts. You need to add a host to begin using the service. Your domain is not delegated correctly: Before our Custom DNS service can answer queries for your domain, you need to make sure that it is properly delegated to us. My host is blocked for abusive updates, or my update client isn't working at all. Some devices, such as routers, use update clients which are not properly compatible with our services. Some clients send unnecessary updates, which can trigger abuse blocks to protect our systems from flooding, while some clients do not send any updates at all. If you have been blocked for abuse, please see our Update Abuse Policy for more information on how to fix the problem. In either case, you should try installing a software client instead, as they are generally far more reliable than hardware update clients. (If you switch from a hardware client to a software client, please make sure you disable the hardware client to prevent unnecessary updates.) Please note that DynDNS.com is not responsible for update clients embedded in hardware devices. You will need to contact the manufacturer for more help if your update client does not work. You can also try installing a newer version of the device's firmware. My connection lags or times out. 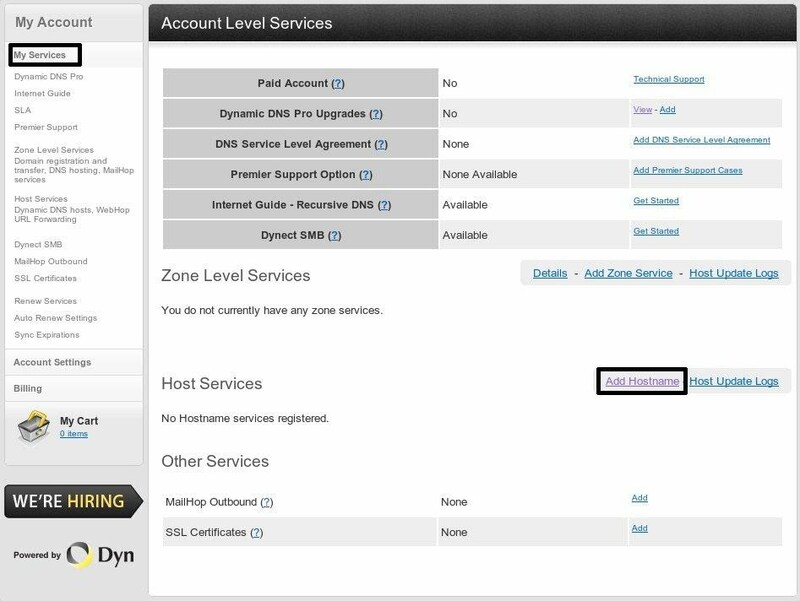 No traffic passes through DynDNS.com, so any problems with lag or being disconnected unexpectedly are caused by connection problems at the remote network (or the client's network). The Dynamic DNS and Custom DNS services have no impact on connection speed, bandwidth, quality of service or any other networking issues. Other people can reach my services, but I can't reach them locally. This is a loopback connection error, which is discussed in more detail here. When I visit my host, I see my router. This is also a loopback connection error, which is discussed in more detail here. I can ping my host, but I don't get a reply and/or I can't connect to my services. Notice google.com [209.85.171.100], which demonstrates that your computer was able to resolve google.com to its corresponding IP address, 209.85.171.100. Whether you receive a ping reply or not is irrelevant; since the host resolved to the IP, the DNS service is working properly, so you can continue troubleshooting at the network level. This section covers some additional features and general questions about Dynamic DNS. If you wish to have the capabilities of the Dynamic DNS service for your own registered domain (e.g. mydomain.com), you are looking for our Custom DNS service. 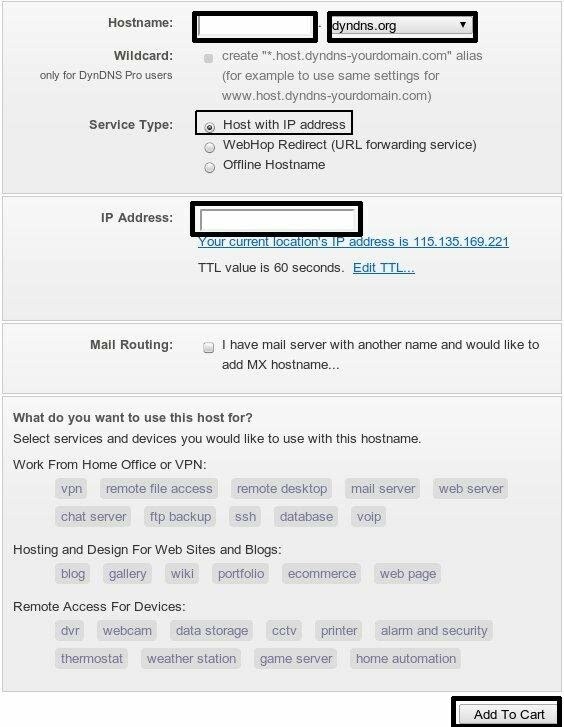 The Wildcard feature for Dynamic DNS hosts allows fourth-level subdomains, such as www.myhost.dyndns.org,abcxyz.camera.homeip.net, and so on to function. The Wildcard setting is entirely optional, and is mostly useful for virtual hosting with webservers (e.g. displaying different personal websites at moe.myfamily.dyndns.org, curly.myfamily.dyndns.org andlarry.myfamily.dyndns.org). Wildcard is only available to customers with Dynamic DNS Pro. A Dynamic DNS Free host's activity is measured by how often the host's IP address is updated. If a host is not updated within 30 days, it will be removed from the system. To prevent these expirations, you can click the link in the expiry email sent every 25 days, or purchase our Full Featured Dynamic DNS Pro. Many update clients offer methods to automatically account for detection problems involving firewalls and proxies. To view your current location's external IP address, please visit http://checkip.dyndns.com/, then http://checkip.dyndns.com:8245/. The address listed on the first site should match the address listed on the second site. If not, you are likely seeing a problem caused by a firewall or proxy; the second site, using port 8245 to bypass these problems, should be the correct and true external IP for your network. 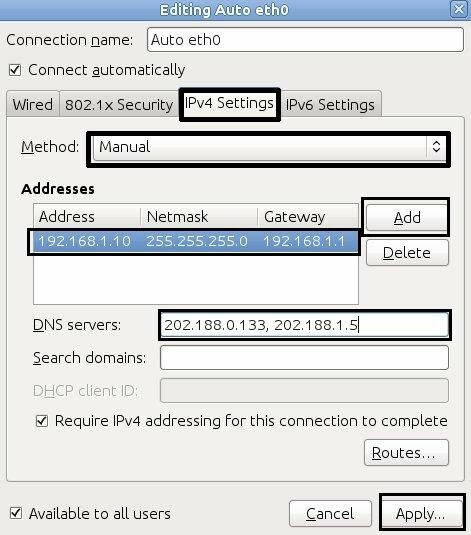 You will need to configure your client to use port 8245 for external IP detection from our CheckIP site. VPNs can be more problematic, as they tend to route all traffic through the destination network. How do I use alternate ports? You can set a Dynamic DNS host to WebHop, an HTTP redirection that sends visitors to any desired URL. This is useful for redirecting short Dynamic DNS hosts to much longer hosted pages (e.g. myhost.dyndns.org to freewebhost.com/really/long/sub/~directory/), or alternate ports to circumvent port blocking (e.g. mycamera.dyndns.org:8000). The Offline Hostname feature temporarily sets the host to our offline webpage to provide helpful error messages to your visitors. This feature is useful for maintenance windows, outages, and other times when your server isn't available for a short while and you need to let your visitors know without setting up a second server and temporary downtime page elsewhere. The Offline Hostname feature is not failover (automated detection and redirection for unavailable servers); if you do need failover service, you may be interested in our Dynect® Platform. You cannot use third-party SSL certificates for Dynamic DNS hosts, including the certificates we offer. You may use self-signed certificates for Dynamic DNS hosts. If you need the security of a third-party certificate for business transactions or corporate use, you may wish to create your own domain registration and DNS service, then purchase a QuickSSL or True BusinessID certificate for the domain. What are the security risks of using Dynamic DNS? The Dynamic DNS service does not create any new security vulnerabilities for your network. It is simply an easy way of locating your services. 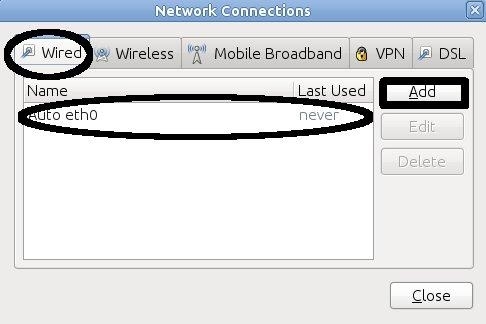 You should take steps to properly secure your network, such as a properly configured router, firewalls, up-to-date antivirus software, and common security practices such as strong passwords (eight characters in length with at least one capital letter, one number and one symbol such as @ or _) and strictly limited access (e.g. FTP access for a single subdirectory, not an entire drive). For more info please visit PortForward.com. There got lists of routers setting to portfoward.